This week, we have a test of double under capacity and muscle-up proficiency with pre-fatigued shoulders. I’m really excited to see what happens on this one. Neither of the two Games athletes (Kyle Kasperbauer and Neal Maddox) came close to finishing this workout under the 14 minute time cap, but it will be done. Strategy for this workout plays a very different role for each individual type of athlete. 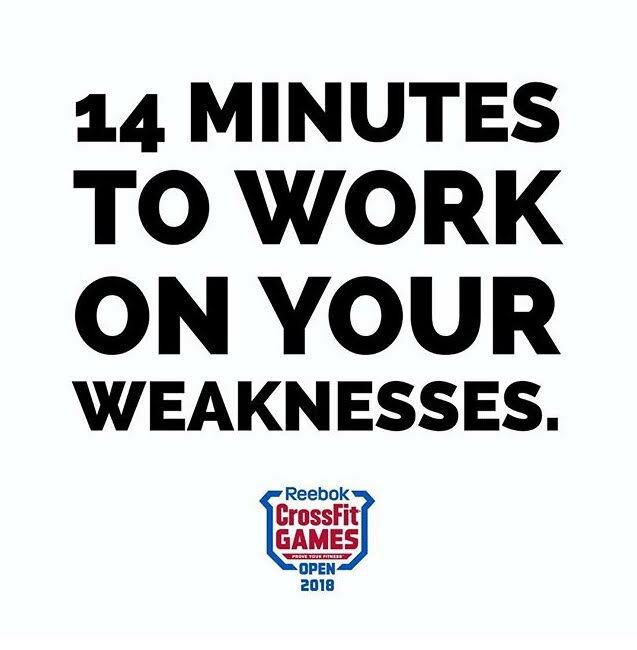 If you are on the cusp of Regionals, and also debating whether or not you can finish this workout, you will need to play the long game and make sure you have that extra “push” in the last 4-5 mins. If you are an athlete who will be happy completing the first 12 Muscle Ups, then your strategy will be the opposite – Maximize the amount of time you have to crank out those singles. Out of 928 possible reps, 800 of those are Double Unders. That means your midsection needs to be tight, and you need to be bouncy. Pick manageable sets, somewhere between 20 and 50, and knock those out set-by-set with a breath in between. There is no room for wasted reps on the jump rope in this workout – you should always be either putting reps on the board or actually resting to catch your breath. As we saw in 18.1, the dumbbell is just a place-holder / time-waster, but it needs to be efficiently crushed with the hips. Using your shoulders and arms during the snatches will get them done in the same amount of time, but you will suffer from it on the next set of DU’s and MU’s. Overhead Squats could play an interesting role over 14 minutes. These will be more taxing on the trunk than Snatches, which could tire out the shoulders if you’re not careful. On the other hand, if you commit to keeping a vertical torso and locking in good positions throughout the entire set, you will most likely be gaining an advantage over your fellow competitors. Overall, you can probably predict which part of this workout you, personally, are going to hate the most. If it is the muscle ups, consider treating this like a muscle-up practice workout, if going scaled is not even in your list of options. But if you’re going to be getting well into the 2nd round, make all of the movements crisp and smooth, but don’t rush. There will be plenty of time afforded to those whose shoulders are not totally blown up by minute 8. Stay Tight – Such a cliché cue, but it really applies here. Smash your feet/legs together, squeeze your abs and glutes, and rely on calf “springy-ness” to make these as efficient as possible. Keep Breathing – This is the only movement that could possibly be considered as relative rest. While jumping, think about taking as deep and long of breaths as you can. In through the nose, out through the mouth. This will also give you something to think about, rather than the terrible number of times you have to jump back up into the air during the workout. Vertical Torso – Not everyone is built to squat completely upright with the barbell directly over their ears, but everyone will benefit from attempting The more forward you are leaned, the more work it is on the upper back and shoulders to stabilize the bar. 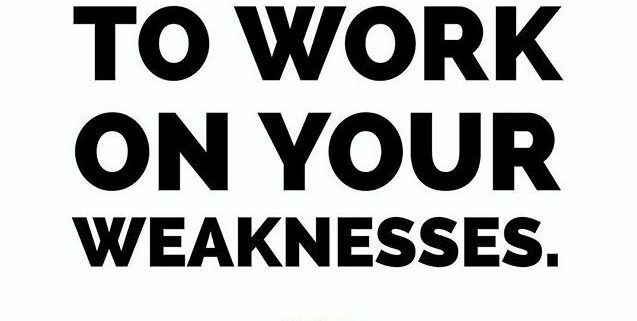 The more work your shoulders do here equates to wasted work. Try a Slightly Narrower Grip – Play around with this in the workout, but I have seen several people (myself included) benefit from a slightly narrower grip during high-rep sets of Overhead Squats. This isn’t possible for everyone, but it can often decrease the stress at the shoulder and keep you fresh for the muscle ups. Catch as High As Possible – Don’t rely on catching in the bottom of the ring dip if you have the choice. Take some stress off the shoulders, and try to get a big enough hip drive to catch higher in the dip. Grab-N-Go – That’s really all I’ve got. Follow the standards for “Good Reps”, but just launch it with your hips. When you are doing these efficiently, your arms and shoulders don’t even have time to pull on the dumbbell. Make them efficient, save your energy. Hips (again) – The same rules here apply as in the Ring Muscle Ups. Some people actually need a slightly larger kip to get themselves up and around the fixed pull-up bar, so keep that in mind. The bright side is that it’s a fixed surface, and once your over, you’re practically done! Slow is Smooth, Smooth is Fast – Make the movements efficient (especially in the Double Unders), and get rewarded later on with extra energy. Take your time to get into a good rhythm with each movement, then you’re just going to have to keep moving. Stop 1-2 Reps Short of Failure on the Muscle Ups – You should know your personal limit with these, but hitting the wall during round 1 will not be something you can recover from. There just isn’t enough time to start missing a couple of reps and still come back from it. Be deliberate. Get to the Rings – Knock out the DU’s and OHS as fast as you can, then collect yourself and get it together. This will now become Muscle Up practice for the remainder of the time cap. Don’t rest too long between singles, but try to make every single as crisp and efficient as possible. Having this mind-set will prevent you from rushing into failed reps. The goal here is NO failed reps.
You Can Always Re-Do It – The volume from the first round of this workout will not be bad enough to prevent you from giving it a second shot. Even if you “overpace” the first time, you shouldn’t be too sore in 2-3 days to come back at it. *Each set must be unbroken, then rest, take a breath, and execute the next set with purpose. If it’s not unbroken, repeat that entire set before moving on. Banded Shoulder Stretching: If you typically do this to open up the shoulders, be sure to stretch out the pecs and lats. If this is not something you normally do, don’t start now. 10 Dumbbell Snatches – Start at a lighter weight than you plan to compete with, then work up to the workout weight. Deep Squat Hold or Sots Press – get into a deep squat, focus on getting your back upright. Grab a PVC pipe or barbell, do a back squat, then press it into an overhead squat position while remaining in the bottom. Lower the bar and repeat. Rest and reset as needed. Hollow Body Roll to Arch – establish a good hollow position on the ground with arms overhead and legs straight out off the ground. Roll over into an Arch position on your stomach, essentially the opposite of a Hollow. Hold each position for 5-10 seconds, then transition back into the other. Active Hangs aka Scap Retractions on Pullup Bar – Hang, Retract your shoulders, hold for 5-10 seconds, relax, and repeat. 10 Ring Dips – SLOW and controlled, with a 2-count pause at the bottom. **Repeat the entire Bar MU sequence on Rings. **During this entire progression, think about keeping your midsection as tight as possible, and rely on the hips to drive the kip. The shoulders should be doing as little work as possible. Pause Overhead Squats – 5x 3 Reps, work up to something slightly heavier than workout weight. **Pause each movement in the bottom for a 2-count, making sure to stay tight and keep your torso vertical. Remember, this workout should be “fun” (at least more so than the others). Get your mind right, move around, but don’t get cold. Ideally, you should have about 5-8mins between your last warmup round and Go Time.